Watch everything on your favorite DVD, including special features and commentary, from a single file on your hard drive. 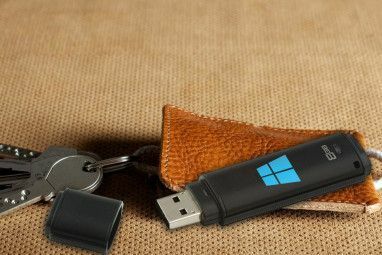 With the right software you can overcome the file protections on your DVDs and watch them on your computer anytime. BDlot DVD ISO Master is a free piece of software that does what very few free programs can do – bypass the various Digital Rights Management (DRM) technologies used to stop people from ripping DVDs, including Disney’s infamously tricky protection. Watching movies on a computer, especially a laptop, is convenient. Sometimes it’s not convenient to watch them from a DVD, though. Perhaps your laptop doesn’t have a DVD drive. Perhaps you’re about to travel and don’t want the clutter of a physical DVD along for the the trip. Whatever the reason, ripping your DVDs can make them easier to watch on the go. We’ve shown you how to rip entire DVDs to your hard drive 5 Simple Steps to Rip an Entire DVD to Your Hard Drive 5 Simple Steps to Rip an Entire DVD to Your Hard Drive Have you backed up your DVD collection? Let us show you how to rip your DVDs to your hard drive for free with HandBrake. Read More in the past, but that tutorial focused on ripping DVDs to video files. With BDlot DVD ISO Master you can easily create an ISO file containing all the information on a DVD, which can be watched on your computer or burned to a blank DVD as a backup. We all know what a DVD is – a disk with files on it. These disks have a variety of uses, but most DVDs people buy in stores are movies. So that’s clear, but what is an ISO? And what is DRM? Good questions. An ISO file is, simply put, an exact copy of a DVD disk. This means that an ISO file from a ripped movie DVD includes not only the movie itself but also the menu and the special features. These files are a useful starting point if you want to burn DVDs, but can also be a great format from which to watch DVDs on your hard drive. What is DRM? It’s basically software added to DVDs, and many other kinds of media, to make it harder to copy the contents. This is meant to stop piracy, but can also stop innocent people from watching a DVD they legally own from their hard drive. BDlot gets around this. This is simple enough: pick the DVD you’re trying to rip as your source, then pick where the file should be made. Note that this file will be rather large – typically upwards of 5GB – so choose a hard drive with lots of space. There’s nothing wrong with leaving everything checked, of course, and doing so makes it more likely that you can actually play the DVD later. Once you’re ready to rip, all you need to do is click the big blue button – that will start the process. It may take a few hours, but at the end, you’ll have a ready-to-play ISO. A variety of video players can open ISO files; I recommend VLC which plays just about everything The VLC Media Player - Does it Really Play Everything? The VLC Media Player - Does it Really Play Everything? Read More . Most media centers, including Boxee, can also open ISO files. Let us know any other programs you find that can open ISO files in the comments below. 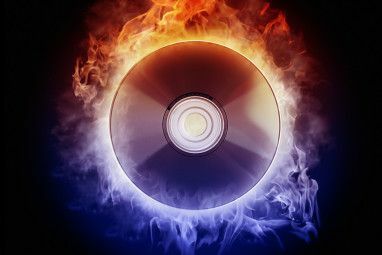 Want to burn an ISO to DVD? This program supports that too; just enter the burn mode and get started. You’ll need a DVD burner The Best, Free Alternatives to Nero CD/DVD Burner The Best, Free Alternatives to Nero CD/DVD Burner Don't waste money on a CD/DVD burning tool! A freeware application might be all you need. 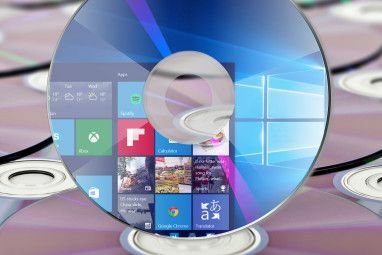 Here we have compiled five alternatives to Nero Burning ROM for your Windows PC. Read More , of course. This is a great tool for ripping your DVD collection so you can watch it on the go. While it may not work for watching DVDs on portable devices like the iPad, it is great for those of us who want to watch our DVDs on our computers. Do you have any similar tools to recommend? Share them in the comments below, along with any ripping tips or ISO playback tips. Explore more about: CD-DVD Tool, Digital Rights Management, Disk Image. Netthrob monitors your website every minute. Once your website joins our database, it is monitored rigorously from our servers at five different locations across the world. I use DVDShrink and DVD43. Thanks for your answer, Seth! If i were u, i would definitely make an ISO image file instead of Video_TS Folder. Reasons are plainly simple, ISO got several strong points: 1.Uncompressed 2.One single file merged with multiple files 3.Easy to burn 4.Virtual disc acting like a physical one These reasons are good enough to make a decision, arent they? Here i personally recommend u a good program BDlot DVD Clone Ultimate. And u could try it youself to see how it works. Hope this can help u in some way. Which of 1) ripping to ISO or 2) ripping the Video_ts folder makes for a better image and playback? I think the size sizes appear to be quite similar. DVD Decrypter for ripping, ImgBurn for burning. Choice is good. This is another choice. C'mon .. ImgBurn has been doing this for years! ImgBurn sure is the king to burn image onto disc. But if you use Imgburn to create ISO from movie dvds, you need to extract video_ts folder out of disc (remove css first), and then make a iso image from the file folder. Simply speaking, the time consumed by Imgburn would be doubled. Show me proof if I guess wrong. No, it's not copyright infringement. If I'm not mistaken, it's a copyright infringement to do what you describe.